Trans* Jersey met with the States of Jersey Police LGBT Community Liaison Officer, PC710 Emma Poulliquen, this week to discuss ways in which we could work together. The discussion was wide-ranging and included educational initiatives to keep young people safe; legislation changes and how the introduction of anti-discrimination laws will affect the community; what “best practice” guidelines might look like for the police, the prison and the hospital when dealing with trans* individuals; and how the police can help the LGBT community right now, before anti-discrimination legislation is brought in. Although there will not be a law protecting trans* people from discrimination before September 2015, Emma informed me that the States of Jersey police take harassment and discrimination of LGBT islanders seriously, and will investigate reports of incidents from LGBT people who have experienced harassment and/or discrimination in the island. Don’t forget that prosecutions will be able to be brought retrospectively under the new anti-discrimination law, so lodging a report with the police now is a good idea if you think you might need to bring a case when the law comes into force. 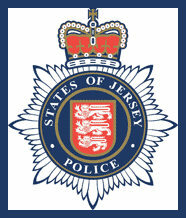 The LGBT community liaison team can be contacted by email or visit www.jersey.police.uk where there will shortly be a page dedicated to their LGBT community liaison work.